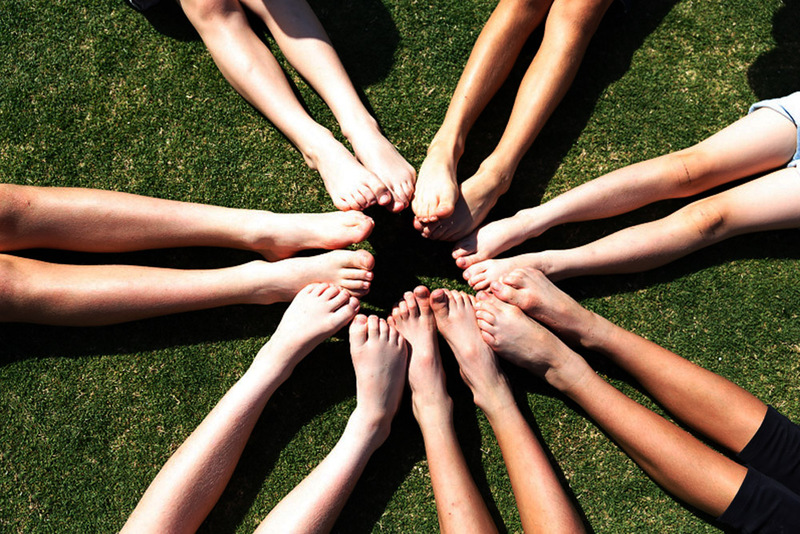 Podiatrists are urging parents to take big steps for their children’s feet as part of National Foot Health Week 15th – 21st October, to help Aussie kids grow up living an active and pain-free life. Australia’s largest podiatry group, My FootDr podiatry centres, released in 2017 research revealing that 81% of parents have never taken their child to visit a Podiatrist. A staggering 61% of their children (aged up to 17 years) had also not had their feet professionally measured within the last 12 months, despite many parents purchasing as many as three or four different pairs of shoes each year. My FootDr co-founder and CEO Darren Stewart said his organisation is driving awareness around the importance of healthy feet among children during October. “Children’s feet and legs develop rapidly, and it can be difficult for parents to know what is and isn’t normal. Yet how they develop impacts on the child’s ability to live happy, healthy and active lives,” he says. “Conditions ranging from delayed walking, tippy-toeing, flat feet and bowed legs, pigeon toeing and clumsiness, ingrown toenails and plantar warts are common in childhood. The research revealed growing pains (26%), Severs Disease (22%) and flat feet (17%) to be among the most common conditions respondents’ children experienced. Mr Stewart says footwear choice is an important factor in children’s foot health. “On average children spend more than 1,000 hours a year in their school shoes, not to mention wearing different shoes for different sports and extra-curricular activities,” he says. “Whether you’re buying $10 shoes or $100 shoes, they should offer the right support and enough growing room for feet to develop naturally. He encourages parents to adopt a preventative and wellness approach to foot health, much like they do with dental health. “We recommend children visit a Podiatrist before they start school and undergo a check-up at least annually, or more frequently if they experience foot pain or other symptoms,” Mr Stewart says. The research was commissioned by one of Australia’s leading podiatry groups, My FootDr. The survey, undertaken by Pureprofile, included 600 respondents from across Australia with children aged up to 17 years of age. I personally don’t know much about podiatrists so I wanted to look up some information. I had no idea that so many children grow up with too small of shoes. I appreciated how it talked about how 81% of parents have never taken their child to visit a Podiatrist.